Agile Practices started in software development and quickly became the gold standard. They just work better.Marketing has to keep pace with technological advancements that are changing the way customers connect and interact with brands. Agile marketing practices like Growth Driven Design are smarter, faster and more innovative. Pretend for a moment that your website is a living, breathing person. A sales rep. Your most active and enthusiastic sales rep. Now let’s say that this sales rep is out in the field, marketing your product or service to potential customers, and he’s communicating stats and specs from two years ago. Stats and specs that pale in comparison to your competitors’ current offerings, a fact that is confirmed easily by a quick Google search. How can he expect to bring in clients when his data is so outdated? That is exactly what is happening when you allow your website to remain unchanged for (on average) 1½ to two years. But see, you’re considering the process associated with traditional website design. 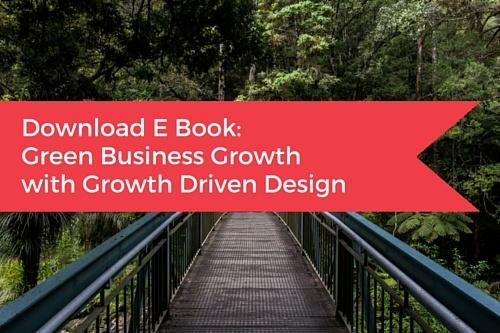 Growth-Driven Design to the rescue.A great question. Growth-Driven Design (or GDD) is an approach to website redesign whose purpose is to mitigate the risks associated with the traditional website redesign strategy; specifically, exceeding budget, delivering after the deadline and encountering tasks outside of the original scope. Wrike, a work management and collaboration platform company,recently surveyed 800 marketers about their use of Agile, how it helps them get work done, and their overall satisfaction with the approach. The survey report is available on its website. The survey reveals that Agile methodologies are “partially” embraced by many marketing teams. A majority of marketers has partially embraced Agile, with only 21% fully embracing Agile, and 7% not embracing it at all.The lack of training and knowledge about Agile is the biggest barrier to implementing it as per survey results. Sustainable, fair or green brands or services should understand that there is the need to tell their unique stories to the consumers. Today’s consumers have learned to block and filter unnecessary information. As we know that our mind space is limited and precious, we aim to remember only the most relevant information. We are constantly scanning every little bit of information, mail, song, TV show, gadget,……to see if it might help us to reach our goals in life. However, you should be aware that all this scanning and blocking and adding of information happens extremely fast, and it is nearly 100% subconscious. It is as if we are on autopilot. Imagine your mind as a gatekeeper at a posh club. She scans every person, and you either get in or stay outside. The real problem you have to solve with your brand or product is not just to develop the best product. It is also about developing a strategy on how to get your prospect’s attention and pass his “gatekeeper” to get entry into your consumer’s precious mind space. Please remember this: Before you can sell anything, you need to occupy your prospect’s mind space!!! The term ‘greenwashing’ might be officially outdated. In 2016, the number of companies making unmerited PR splashes over sustainability is far outweighed by those who are taking significant strides forward and not talking about it. When faced with the science of climate change and transparency into corporate accountability in 2016, sustainability is simply part of doing business. Yet many leading companies still shy away from fully embracing their sustainability stories. Excellent, groundbreaking work is happening across the private sector with no-one around to hear. To re-philosophize the old saying … if a tree grows in a deforestation zone, and no one is around to hear the re-surging wildlife, does it make an impact? Purpose-driven brands know that the key to successful engagement is connecting consumers to their brand purpose and mission. The most effective ways to do that is to listen, communicate, and build trust. Consumer preferences have quickly become one of the main driving forces behind corporate change. As consumers grow more aware of what goes into their purchases, and as they learn about the companies they are supporting through their dollars, brands that embrace and cater to purpose-centric consumer demand will prevail. Consumers are craving authentic and transparent messaging from the brands they support, and brands must listen and take action to maintain and enhance their credibility. Before transforming your product line to conform to consumer preferences, understand that human behavior and choice are primarily motivated by purpose. Many people are intrinsically motivated to choose something that aligns with their purpose (economic factors are less of a motivator). By studying the underlying purpose motives of your consumers, you can align the purpose of your brand with the purpose-driven motivators of your target market. 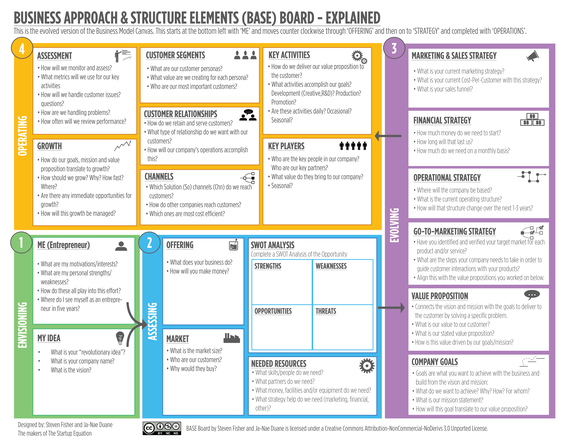 The Mission Model Canvas: An Adapted Business Model Canvas for Mission-Driven Organizations The Business Model Canvas has been a great invention for everyone from startups to large companies. 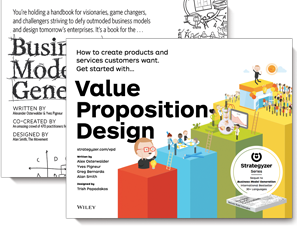 Unlike an org chart, which describes how a company executes to deliver known products to known customers, the business model canvas illustrates the search for the unknowns that most new ventures face. The 9 boxes of the canvas let you visualize all the components needed to turn customer needs/problems into a profitable company. Your idea is great, amazing even. Maybe it could change the world. But in business, your incredible idea isn’t enough. You need a plan. We’re not talking about a “business plan” in the traditional, spreadsheet sense. That comes later. At the beginning, you need to answer some fundamental questions. In other words, you need the BASE Board to get up close and personal with your idea. In some companies, Sales and Marketing departments seem to live on different planets. Indeed, integration is key to ensuring profits. Companies that don’t align departments well can see revenue drops of 7 percent, while highly aligned organizations can see revenue growth of 32 percent. Other studies cited indicate that three-year growth in revenue and profit can happen 24 percent and 27 percent faster, respectively. However, very few of the marketing and sales professionals surveyed believed their departments were well aligned. 56 percent believed their teams were somewhat aligned, while 19 percent said they were somewhat misaligned and 9 percent believed they were misaligned. Inbound marketing helps brands to become more magnetic without breaking the bank. In other words, the popularity of inbound marketing takes a more proactive, less intrusive approach to attracting leads. Still doubting? Perhaps checking out these hard facts—statistics— by InvespCro, which will convince you to give inbound marketing more thought. inbound marketing costs 61% less than outbound marketing? You can save up to $14 per qualified lead if you take the inbound route. The average US company spends $36 per lead for inbound and $42 per lead for outbound. Globally, 41% of marketers say inbound marketing produces a positive ROI. In other words, marketers are beginning to appreciate the potency of inbound marketing; it is ability to attract, convert, close and delight customers. Maintaining a blog is a crucial factor when it comes to inbound marketing. 82% of bloggers say they are convinced inbound marketing is superior to outbound. 79% of companies that have a blog report positive ROI for their inbound marketing. Please don’t forget to include video blogging, podcasts and webinars in your content strategy. Traditional outbound methods such as direct mail, banner ads and newspaper ads are still useful in some instances, but overall, inbound marketing tactics like social media marketing, online video, content marketing, SEO, email and blogging have become more popular. We hope that you found some inspiration in these Articles. Don’t forget to visit our Resources page where we offer Workbooks and Whitepapers for download.